GET THE CARE YOU NEED, WHEN YOU NEED IT. TURN YOUR PET CARE EXPENSE IN TO AFFORDABLE PAYMENTS. Welcome to Montrose Pet Clinic! If you need a trusted veterinarian to care for your pets, then look no further. Montrose Pet Clinic is a quality assured, Alberta licensed veterinary clinic. We treats dogs, cats and some exotics. Your pets’ health and well-being are very important to us and we will take every precaution to give your animals the best care they deserve. At Montrose Pet Clinic, we understand your pets are family. Our mission is to provide excellent pet care services to society which will keep our pets disease free to prolong their happy and healthy life, by blending professional and ethical principles of veterinary medicine through dedication, education, technology, experience and compassion. We are a clinic equipped with modern technology and experienced team members who will provide excellent care for your furry family members. We offer a number of resources that will enable you to learn more about optimal pet health, nutrition and preventative care. If you have any questions, please call 780-929-7363 or email us today! Dr. Salam is one of the partners of the clinic. He obtained his DVM in Canada in 2005. He worked as a small animal veterinarian in different clinics in Edmonton. He finished his veterinary schooling abroad in 1987 and worked as a mixed animal practitioner for 14 years including seven years of experience as a zoo veterinarian. He was also a consultant to the Department of Forestry of India, including lion safari, deer parks, crocodile protection center etc. He is a caring husband and father of two girls. He enjoys hiking and traveling with his family and friends. 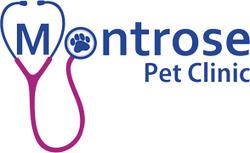 Dr. Koshy is one of the partners of Montrose Pet Clinic. He got his DVM in 2007 and thereafter he worked as a small animal veterinarian in 2 busy clinics in Alberta. He completed his veterinary school in 1991 and worked as a mixed animal veterinarian for 12 years abroad. He took his Master’s in Business administration in 2000 and was involved with multiple provincial projects abroad. His major area of interest is small animal clinical medicine and he got training through VSTEP program of University of Guelph. He partnered in Clareview Casselman Pet clinic from the beginning and helped to make the project a reality. He is living at West Edmonton with his wife and two kids. "We love everyone here but Dr Nicole is awesome and all staff friendly. I would not hesitate to recommend going there!!" "This pet clinic is just perfect. Everyone there is so friendly and helpful. I strongly recommend every pet owner to give them a visit, you can't be disappointed. Thanks again !!" "Very thorough, personable staff and clinic. My pup will definitely be a return customer."